The Promotion commences on 01.07.18 closing on 30.06.19 at 11.59pm AEST (Promotion Period). 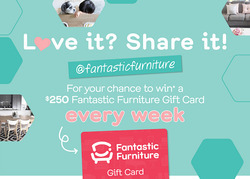 To enter the Promotion, entrants must, during the Promotion Period: Share an image through their own Instagram account or upload one via www.fantasticfurniture.com.au/gallery of their styled Fantastic Furniture with the mention @fantasticfurniture (Entry). Fantastic Furniture is an Australian owned and operated furniture retailer. Fantastic Furniture designs and sells ready-to-assemble furniture and home accessories. They are famous for low prices and a huge range of furnitures. Fantastic Furniture is one of the top furniture stores in Australia founded with the aim of providing a range of affordable packages and individual furniture items and accessories to suit a variety of lifestyles and tastes at everyday low prices. The store specializes in producing lounge sofas and mattresses. Also, stores offer wide range of beds, buffets, wardrobes, entertainment units, coffee tables, desks, armchairs, dining sets, bar stools and home accessories. Fantastic Furniture stores offers a number of package offers to its customers. These offers consist of Bedroom packages, Dining room packages, living room packages and office packages. Apart from 75 stores, Fantastic Furniture also have an online store where they run a number of promotional activities over a wide range of products. You can also find great Fantastic Furniture coupons and codes to find the best deals. Don’t miss the latest Fantastic Furniture catalogue while you select the best designs for your home or office. Fantastic Furniture was founded in Sydney in 1989 by Ingvar Kamprad Paul Harding and Jonathan De Jong.Two years later, the first Fantastic Furniture public store opened at Birkenhead Point, New South Wales. In 1999 the first Fantastic Furniture catalogue was distributed to over 1 million households. Fantastic Furniture superstorescan be found in every major metropolitan city and regional towns, with 75 stores around Australia. To stay updated with the latest Fantastic Furniture products, offers and discounts, you can visit their online catalogue. 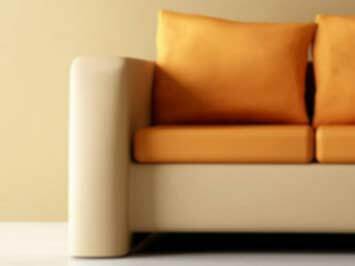 Fantastic Furniture offers a range of services to its customers like MyChoice - Australian Made Sofa Range, MyChoice Bedheads Exclusive To Fantastic Furniture, EzyPlan ,flexible finance catered to suit customers budget and lifestyle. Along with that it has many Fantastic Furniture gives its customers the lowest price guarantee under which they offer their products at 20% less than the market. Also Fantastic Furniture offers Gift card option which is ideal for all occasions. Join the Fantastic Furniture community for exclusive access to even more deals and specials. Do you want to receive more offers from Fantastic Furniture by email?